The Giants are here in Liverpool! 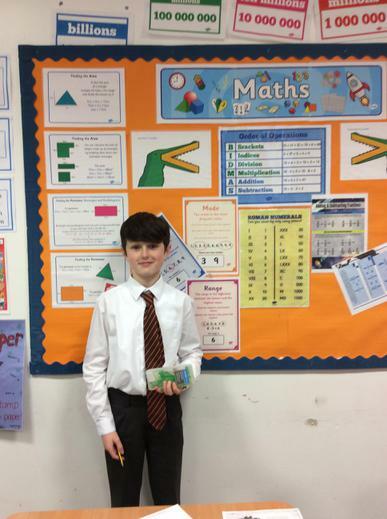 Our Year 6 children have been learning about Pi in their maths lessons recently. They now know that it's value is 3.14 (rounded to 2 decimal places) and it is used to calculate the circumference of circles by multiplying 3.14 by the diameter of the circle. 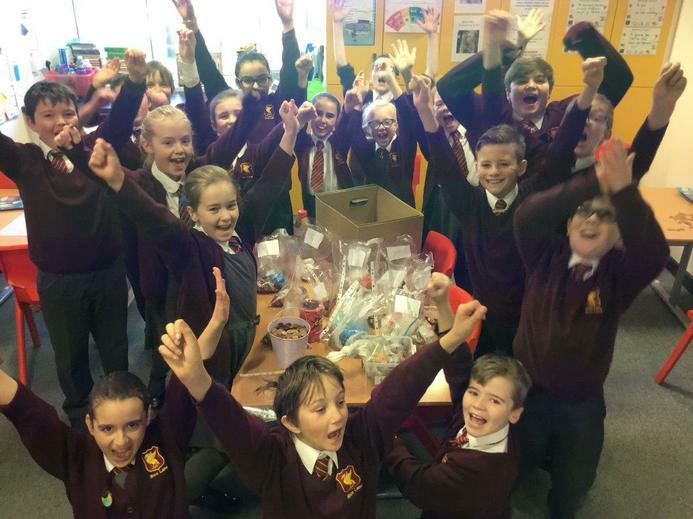 On Monday 12th March, our school invited children from Northcote Primary, Longmoor Primary, Arnot St. Mary's Primary and Leamington Primary to take part in a fun Easter themed maths challenge afternoon. 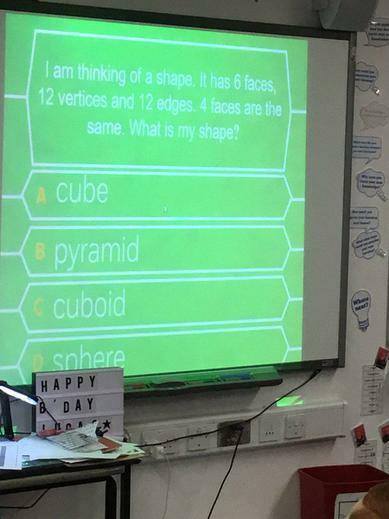 Some of the tasks included algebra, discovering nets of cubes and a fun interactive maths quiz! 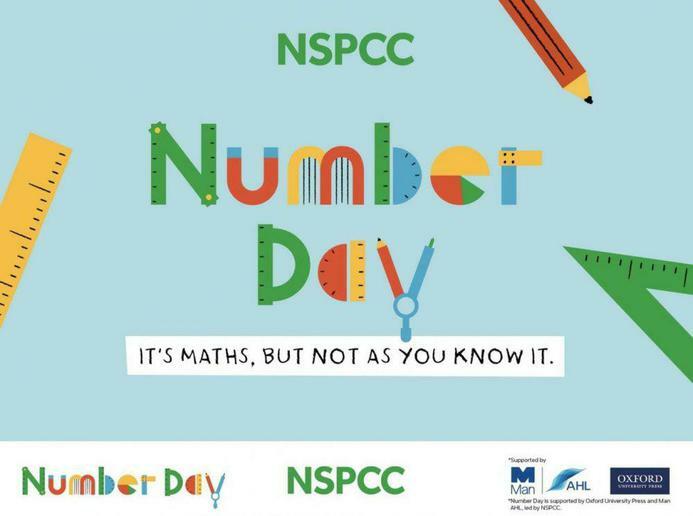 On Wednesday 7th February,our school took part in the NSPCC Number Day 2018. 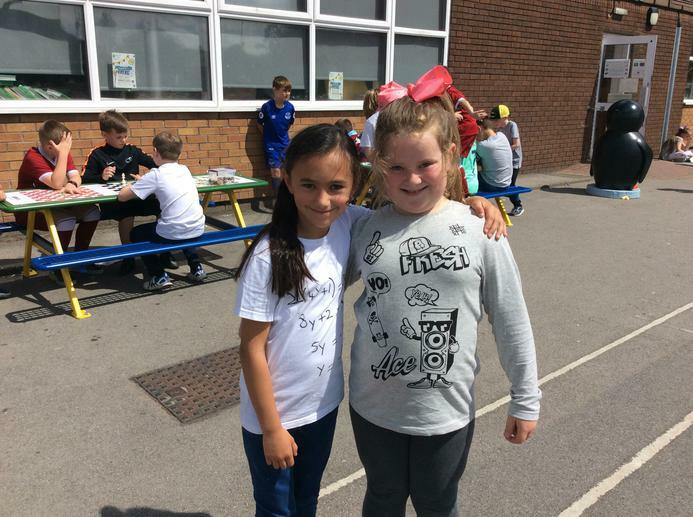 The children enjoyed taking part in lots of fun maths activities during this day. 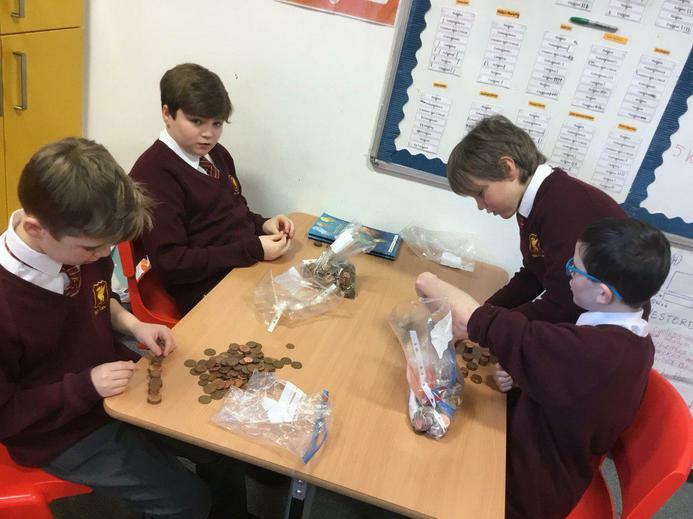 Each class were also asked to bring in spare copper in order to raise money for the charity. Our mathletes and 6J were given the task of counting it all! 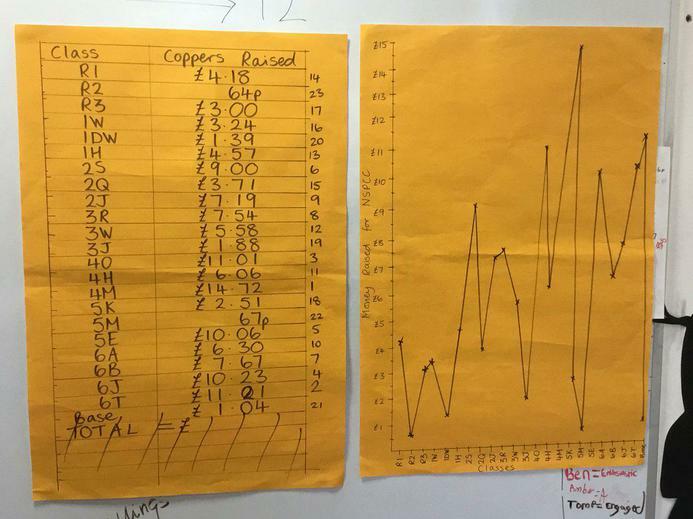 The total changed throughout the day as more and more copper was being added. 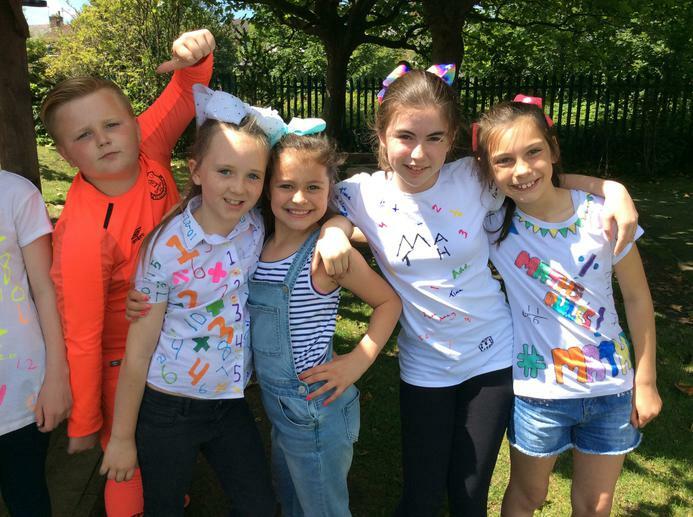 At the time of print, our school raised in impressive £140.47! Christmas Countdown! How many days, weeks, hours, minutes, seconds till Christmas??? Find out here! With the explosive night just days away, we take a look at some defining numbers behind the most colourful night of the year! 3 sparklers burnt together generate the same heat as a blow torch. Midnight is the time that all fireworks must stop. For most of the year, it is 11pm but 1pm on New Years Eve, Diwali and Chinese New Year. 120 is the amount of decibels a consumer firework is allowed to be, the same noise limit as a chainsaw. When you are buying fireworks for your garden, look for Category 2, Category 3 are display fireworks. 1/2 of all injuries happen to children under the age of 17. STAY SAFE AND REMEMBER TO FOLLOW THE FIREWORK CODE. 10-30 minutes is the number of minutes the NHS recommend you should cool a burn with cool/lukewarm water. An arms length is the distance you should hold a sparkler with from your body. REMEMBER TO WEAR GLOVES! Halloween is one of the oldest celebrations in the world, dating back 2000 years ago to the time of the Celts who lived in Britain. About 99% of pumpkins sold are used to carve as lanterns at Halloween. The biggest pumpkin in the world tipped the scales at a whopping 1,446 pounds. this was weighed at the festival in Canada in October 2004. The record for the fastest pumpkin carver in the world is Jerry Ayres of Baltimore, Ohio. He carved a pumpkin in just 37 seconds! Have any of you been over the new bridge yet? Blackpool Illuminations It's that time of year when lots of us head to Blackpool to be amazed by the wonderful illuminations. Click on this link to see all the interesting maths facts involved. National Numeracy Challenge If you would like to brush up on your own maths skills, click on the National Numeracy Challenge (NNC). This challenge is a CONFIDENTIAL and informal website which helps you to assess your numeracy, learn everyday maths, gain confidence and work towards getting the Essentials of Numeracy - the basic skills which you need in daily life and the workplace. As you will all be well aware, we are working towards the 'Liverpool Counts Quality Mark'. This quality mark aims to promote positive attitudes towards numeracy and recognise it as an essential skill and not just something to be used in the classroom. We have been looking at different ways to show the pupils the importance of numeracy skills and that they are used so often in everyday life. 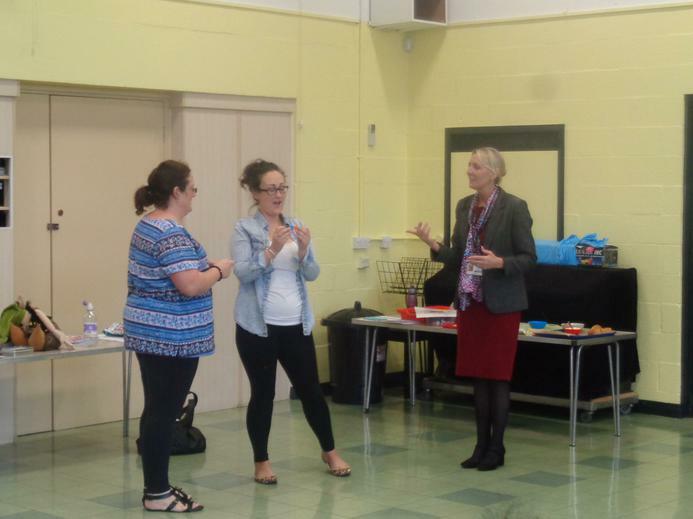 You may remember the maths party we held last term, where the children were given the opportunity to play lots of fun maths games. 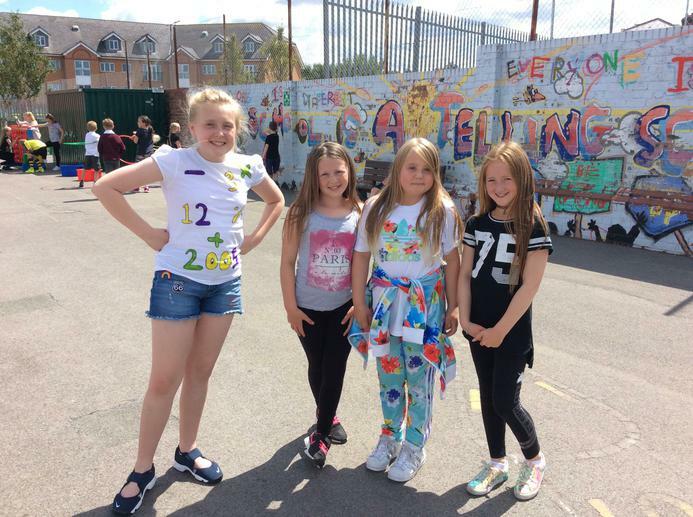 We also linked up with the staff and children at Alsop High school during the Year 6 Community Week to design and paint a maths mural on the playground wall. We were rained off quite frequently so this is still a work in progress. What do you think of it so far? This term, we have lots more exciting activities planned. 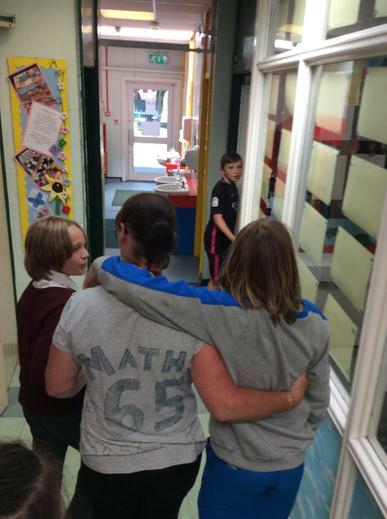 We have visitors coming in to talk to the children about how they used maths in their jobs and everyday life, we are having a maths display competition and the "Mathletes' are in full swing carrying out maths related jobs around the school, including calculating the weekly attendance for each class! 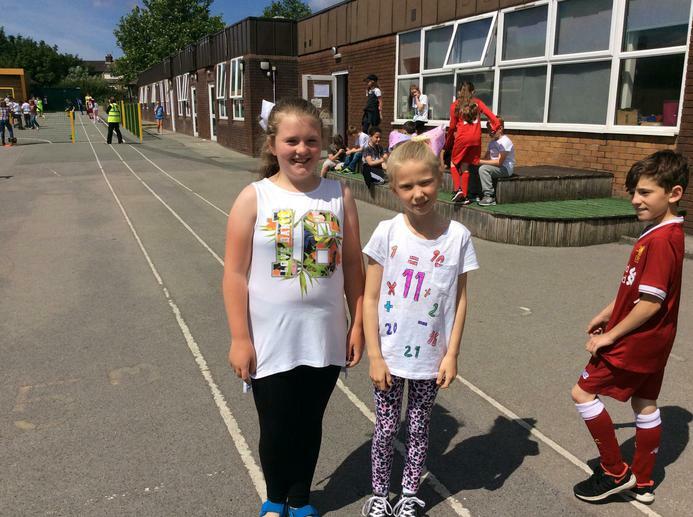 Your support at home is always greatly appreciated, some of the maths games the children made over the summer holidays were great! Thank you to those who got involved! 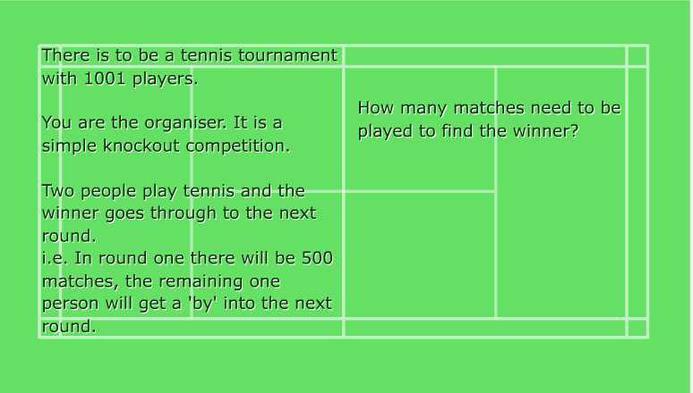 Wimbledon is now in full swing, so today we have a tennis challenge for you. We are really looking forward to our maths party day in school on Wednesday. 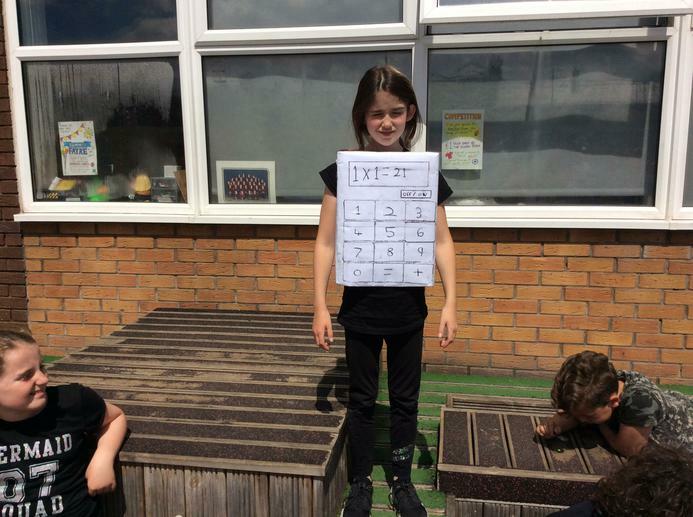 Children are invited to come to school in maths fancy dress. This could be connected to shape, numbers or anything else maths related. 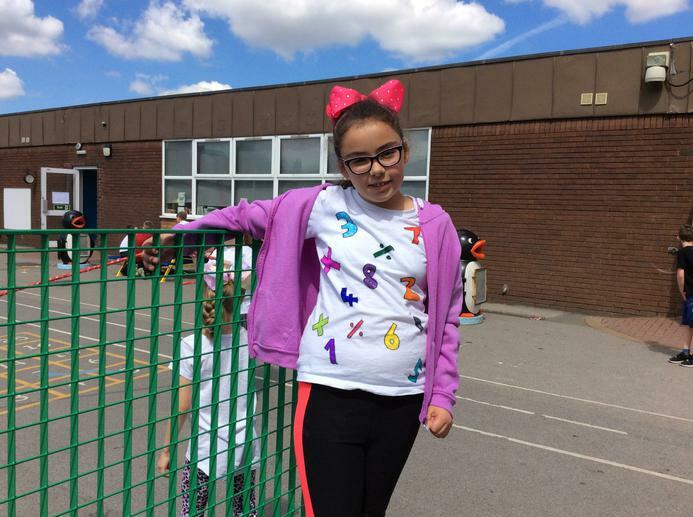 In school we will be doing fun maths activities and we will also be sending home some ideas for maths games that you can play outside of school. 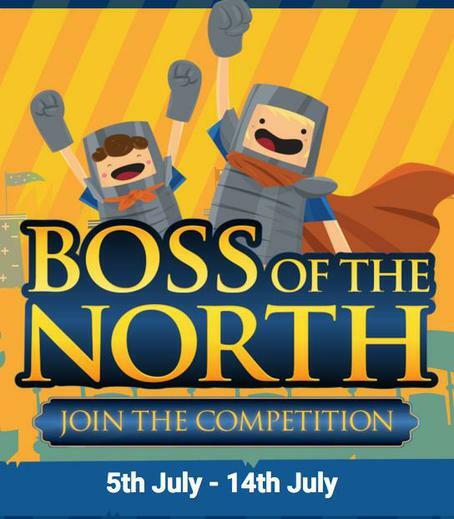 We are very excited to announce that Rice Lane will be taking part in the mangahigh.com competition Boss of the North. 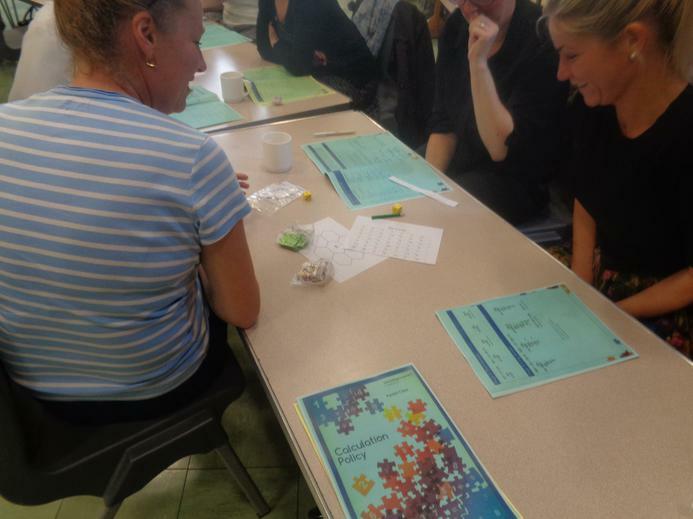 The challenge involves playing fun maths games and competing to get more points than other schools. The schools that get the most points win some excellent prizes, and individual children can win medals too. The competition runs from 5th-14th July. Class teachers will be handing out the login details this week. Let's try our best to win. This week's heatwave got us thinking about some facts and figures to do with the world's climate. As people got out to make the most of the sun, the temperature in Liverpool this week reached 29°C, which made it hotter than Ibiza in Spain. Our weather might seem hot, but over in USA they are having a heatwave too. The temperature in parts of California was more than 40°C this week and in Las Vegas the temperature reached over 45°C. 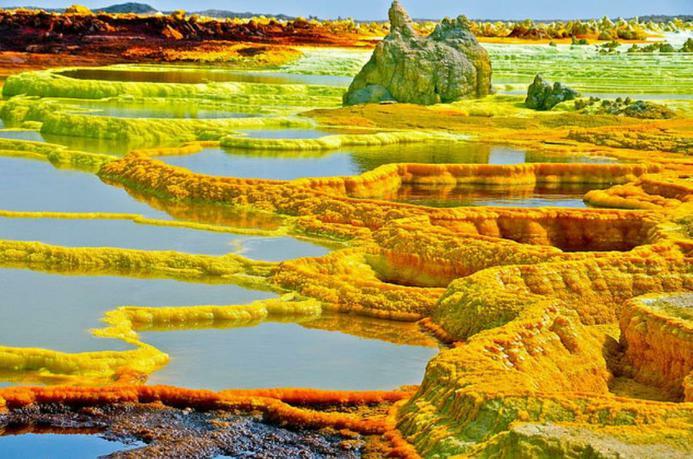 Dallol, in the Danakil Depression in Ethiopia has year round average temperatures of 34.6°C - it would be difficult to ever cool down there. The aptly named Death Valley in, California holds the record for the hottest temperature on Earth. The temperature once reached 56.7°C - our weather doesn't seem so bad anymore. The other extreme is cold weather. The coldest temperature possible in our universe is -273.15°C. This is called absolute zero. The coldest temperature ever recorded on Earth was in East Antarctica in 2010 when temperatures dropped to -94.7°C. Lightning storms can be scary or exciting depending on who you ask. One place in Venezuela called Catatumbo has lightning storms 260 nights per year with lightning striking up to 280 times per hour. The driest place on our planet is the Atacama Desert in Chile and Peru. Some places there get no rain for years at at time. They average only 1mm of rain per year (in the UK we get 885mm of rain each year). A light year doesn't measure time, it actually is a unit of measure for distance. 1 light year is how far light can travel in a year. 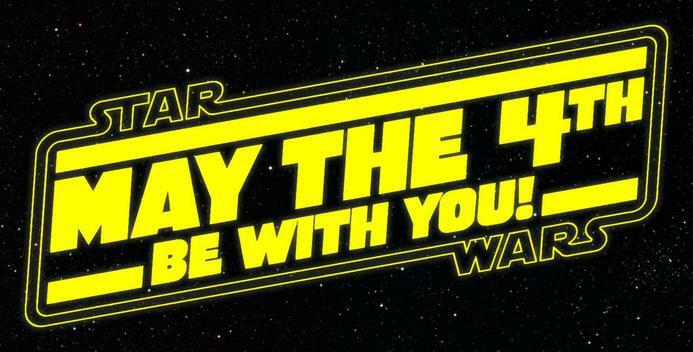 That means that a light year is 9,460,730,472,580,800 metres! That's a long way. A professor at a university in New York has estimated that there are 100,000,000,000,000,000,000,000,000,000 stars in the universe. Mars has a mountain called Olympus Mons. This mountain is 22km tall. That's 3 times taller than Mount Everest, which is the tallest mountain on Earth. Today 6H had a special visitor. 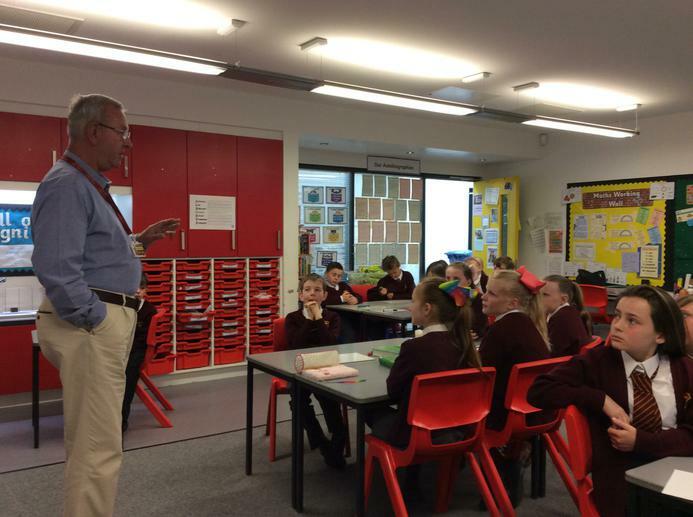 Mr Hankin came in to school to speak to us about how he uses maths in his role as a governor. He told to us about how businesses budget and estimate. It was a fascinating talk. Thank you Mr Hankin. 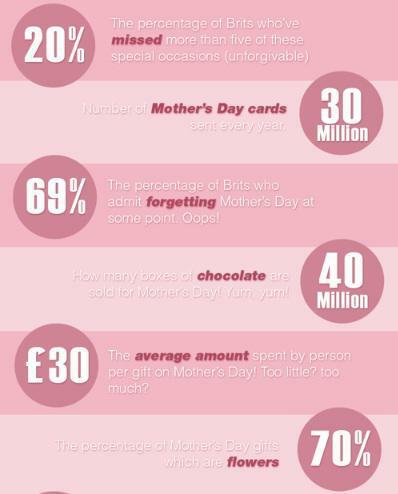 Sunday 26th March is Mothers' Day. Here are some fascinating maths facts. They all worked hard to produce excellent work, showing how maths can be used in everyday life. March 14th is Pi day. 3rd month 14th day. This is a tricky one. The formula to find the circumference (the distance around the outside) of a circle is π x diameter. We know that pi (π) can be rounded to 3.14, so if a circle has a diameter of 10cm what would the circumference be? 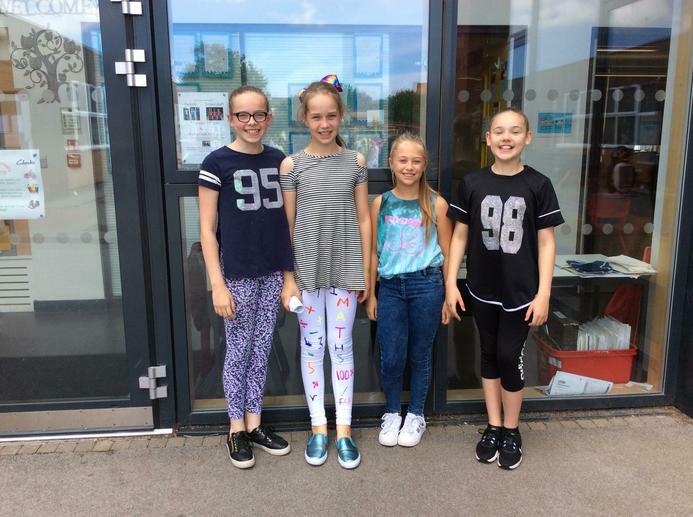 A huge congratulations to Sophie Bowles 3W, Jessica Brookes 4J, Poppy Ingarfield 5M and Harry Johnson 6J, who have been selected as the winners from each year group in the Maths Half Term Challenge. 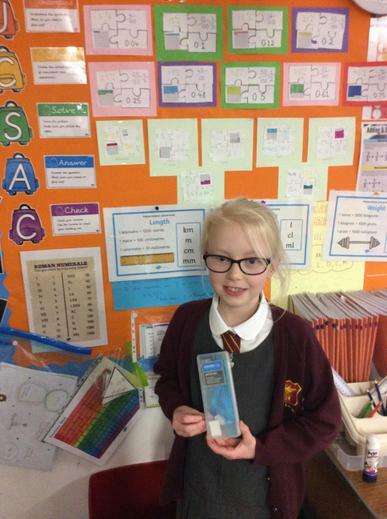 Well done to those children, you will be able to choose a maths prize. 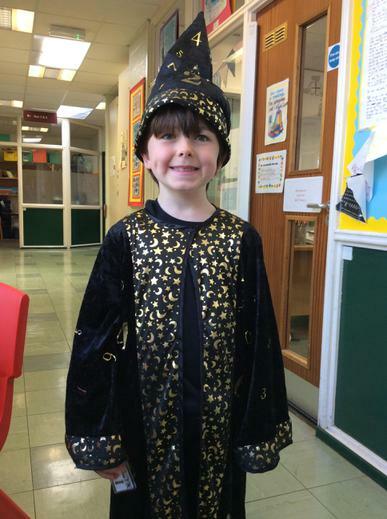 Also, congratulations to the parents/carers of Isla Martin (Nursery) who have won a £10.00 voucher after their parents' questionnaire was draw out of a hat. Well done! 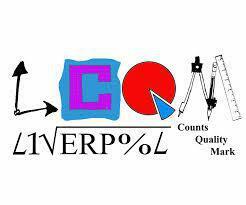 We are delighted to inform you that our school is now working towards the ‘Liverpool Counts Quality Mark’. 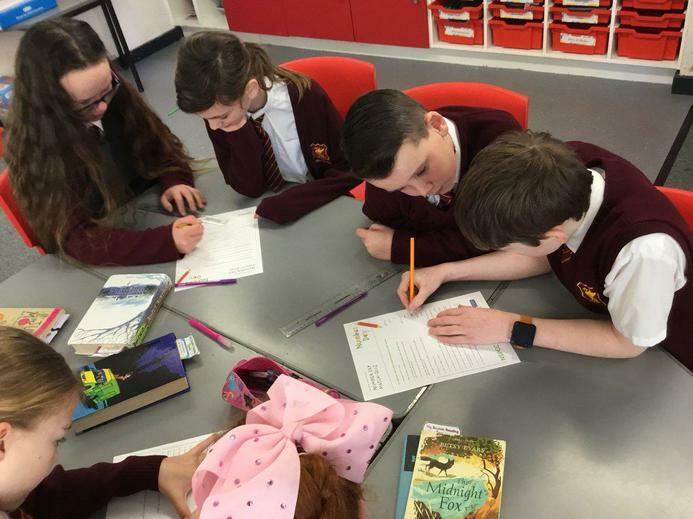 This quality mark aims to promote positive attitudes towards numeracy and recognise numeracy as an essential life skill and not something just to be used in the classroom. 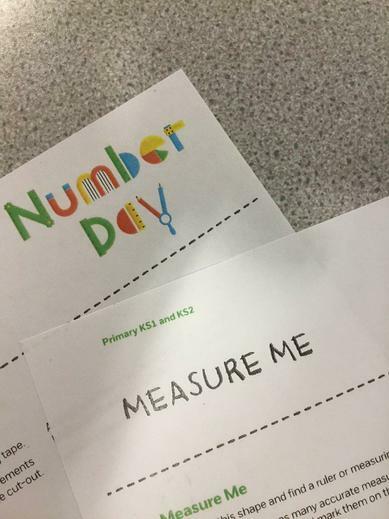 During the next few months we will be looking at different ways to show the pupils the importance of numeracy skills and that they are used so often in everyday life. Your support at home would be greatly appreciated. 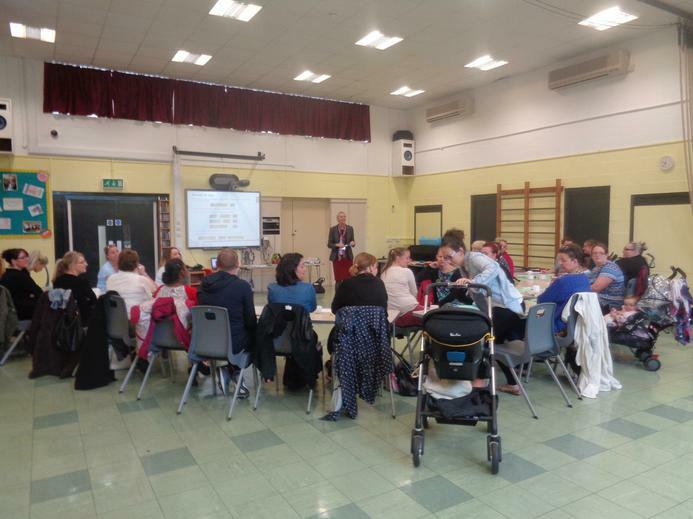 We are looking forward to working with parents to improve our numeracy provision and highlight the importance of good numeracy in all aspects of life and we highly value your feedback. Explore our maths page for useful resources including the maths dictionary and fun games. Over the next few weeks we will be creating and uploading our own Maths dictionary, which we hope will help both our students and adults at home too. If anything isn’t clear or if you would like anything in particular added to our Maths dictionary please ask. Algebra is when we use letters to represent numbers. If 2 + a = 3, we can figure out that that a must equal 1. If 100 – b = 90, we can work out that b must equal 10. Sometimes, we see a number and a letter directly next to each other. This means that the letter and the number must be multiplied together. So 3c just means 3 x c. If 3c = 15, we can use our knowledge of times tables to find out what c is. 3 times something equals 15 and we know that 3 x 5 = 15, so c must be 5. Acute angle: an angle less than 900 (it’s only small so it is ‘a cute’ angle!). 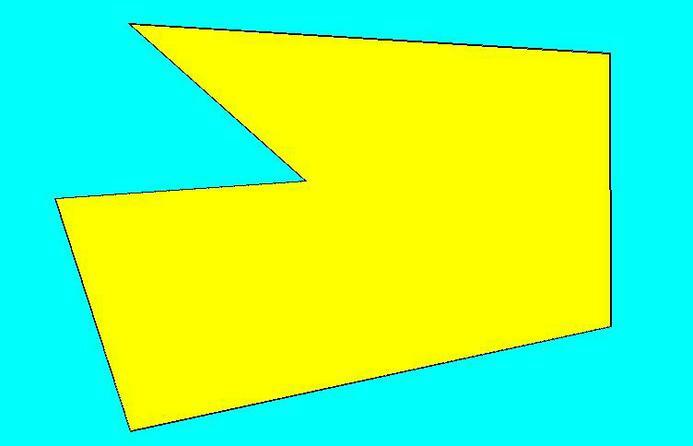 Right-angle: exactly 900 degrees, like the letter L.
Obtuse angle: this angle is between 900 and 1800. Bigger than a right angle but never more than a straight line. Reflex angle: a reflex angle is an angle that has started to fold back on itself. It is between 1800 and 3600. Area is how much flat space something takes up. This is always measured and written in squared units e.g. 100m2, 3cm2 or 20km2. 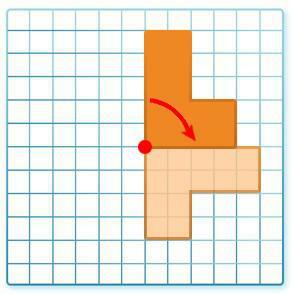 Squares: because all sides are the same length we can multiply the width by itself. 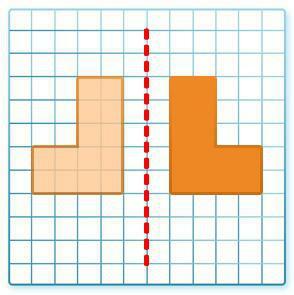 Rectangles: multiply the length by the width. Triangles: multiply the length of the base by the height, then halve your answer (divide it by 2). Arrays are a way of visually representing Maths questions or statements in pictures or symbols, to make them easier to understand. Equal groups are shown in rows or columns. The example below is a way of showing 4 groups of 6 or 6 groups of 4. You add then divide for the mean. The median would be 6 (the middle number when they are put in order). If there is an even number of values you find out what would be exactly half way between them. For the mean we would add all of the numbers together 5 + 6 + 6 + 8 + 10 = 35. Then we divide by 5, because there are 5 numbers all together so 35 ÷ 5 = 7. The mean is 7. Mode would be 6 because it appears the most often. Range would be the biggest number take away the smallest, 10 - 5 = 5. BIDMAS is also known as ‘Order of Operations’. BIDMAS tells us the order in which to work out problems so that everyone who answers the same question will get the same answer. Which of the following is correct? 2 + 3 x 5 = 30 or 2 + 3 x 5 = 17 ? BIDMAS can help us figure out which one is right. Below we show what BIDMAS stands for as well as some examples of the different operations. If there is more than one operation in a question, BIDMAS is the order that we must work them out in. For the question 2 + 3 x 5 the operations are + and x. In BIDMAS Multiplication comes before Addition so we do the ‘times’ part first. 3 x 5 = 15. We then do the ‘add’ part so 2 + 15 = 17. So, the correct answer to 2 + 3 x 5 is 17. Bridging is a way of adding that most of us probably do without thinking. In the question 9 + 6, for example, you might take 1 from the 6 to take you to 10 then add the remaining 5 to get the answer of 15. In 28 + 4 you could take 2 from the 4 and add that to the 28 to take you to 30. You could then add the remaining 2 to get the correct answer of 32. For 90 + 50 you could do it like in the picture below. Chunking is another method for working out division questions that we might not be able to do in our heads. 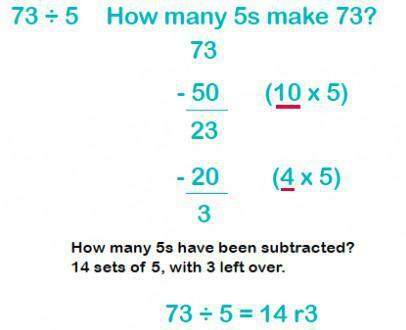 It involves repeated subtraction. To be able to do chunking well, you need to be confident with your times tables. Now for a tough challenge! When working out 882 ÷ 6 we are seeing how many 6s go into 882. We could count up in 6s but that would take a long time so we can take some shortcuts. We could start by taking away 100 6s from 882. That would leave us with 282. Then we could take away 40 6s. This would leave us with 42. We know that 7 6s are 42 so we could then take that away. Altogether we have used 100 + 40 + 7. That means that 147 6s will go into 882, so 882 ÷ 6 = 147. 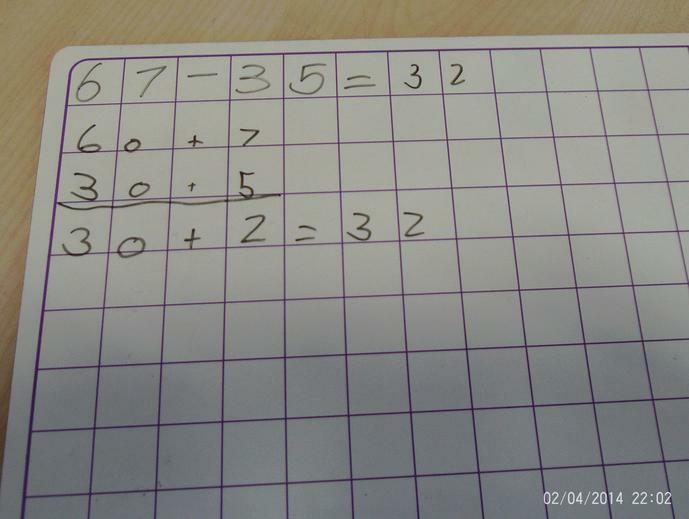 Tip- sometimes it helps to write out the times table of the number we are dividing by at the side of the page when doing chunking. 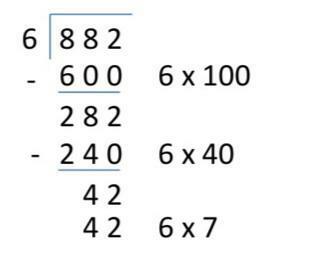 If you can see on the page that 4 x 6 = 24 you could also use your Maths skills to work out that 40 x 6 = 240. In a circle the Circumference is the distance around the outside. 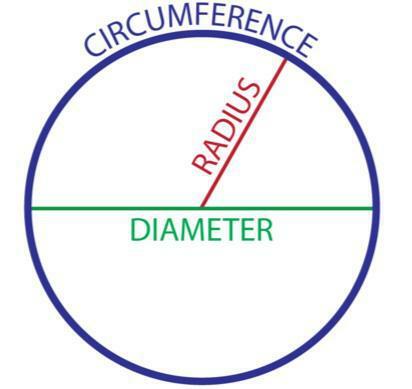 The Radius is the distance from the centre of a circle to the circumference. The Diameter is a straight line passing from one side of a circle to the other going through the centre point. The column method for addition or subtraction is just the way we set out our sums so they are easy to understand and to help prevent mistakes. We always start with the ‘ones’ or ‘units’ column and then move left to work out the tens, hundreds, thousands etc. Coordinates tell us the position of something on a grid. Coordinates are always written in brackets with the two number separated by a comma. 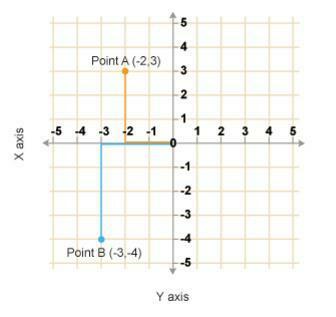 The first number tells us the position on the x-axis (horizontal or left to right) and the second number tells us the position on the y-axis (vertical or up and down). In the younger years of school the children might be told ‘in the house and up the stairs’ to help remember the order. 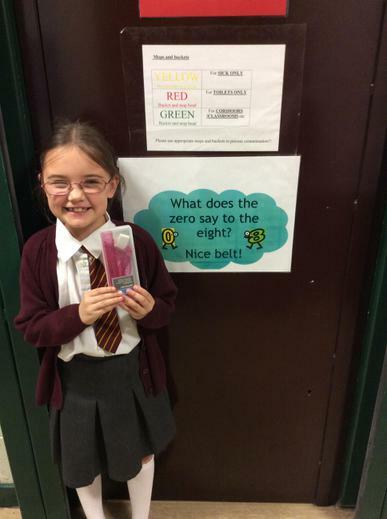 Higher up the school the children use positive and negative numbers so they might be told ‘along the corridor and in the lift’. For easier division questions you can look at the entry under Bus Stop Method. 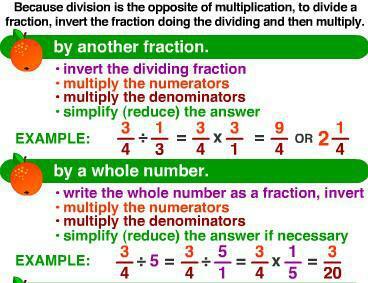 Chunking is also a method that we can use for division, but another way that we need to learn is Long Division. Just the mention of long division can give people nightmares, but as long as you follow the correct steps all it takes is practice. 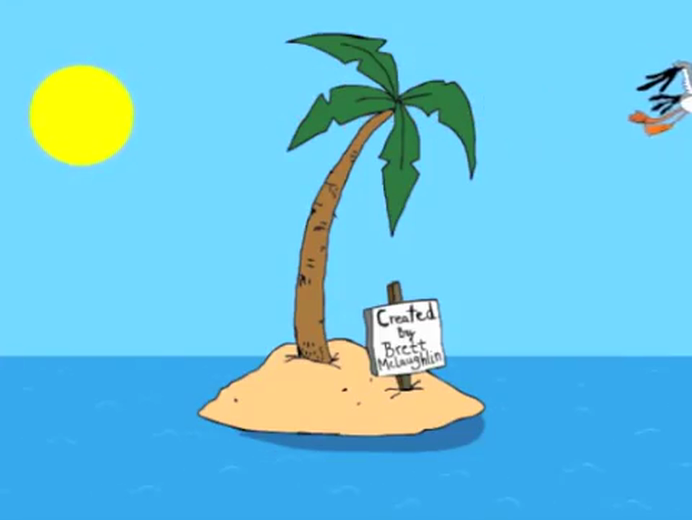 Year 6 used the following funny video to help them master long division earlier this school year. Factors are numbers that we can multiply together to make another number. Some numbers have a very small amount of factors and some have a lot. For example the number 12 has the following factors: 1, 2, 3, 4, 6 and 12. We can divide the number 12 by all of these numbers and not have any remainders. In pairs those numbers can be multiplied together to make 12. 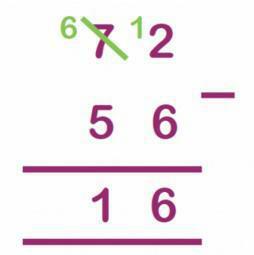 Fractions are normally written as one number over another number. We call the number on the top the numerator and the number on the bottom the denominator. Mixed numbers are when we have a whole number with a fraction. 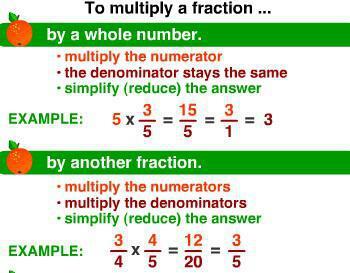 Improper fractions are when the numerator is larger than the denominator. 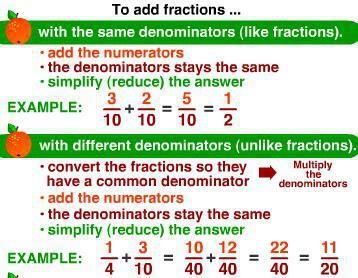 Equivalent fractions are fractions that might appear different but have the same value. 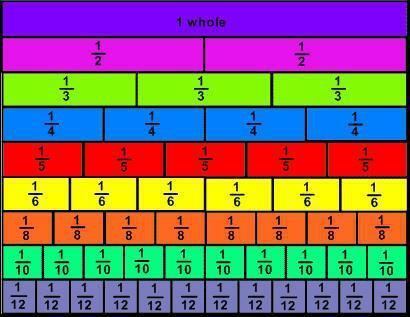 By using a fraction wall we can see that 4/8, 5/10 and 6/12 all have the same value. When subtracting fractions the process is almost the same as when adding. The only difference is that we take one numerator from the other. We use measure to find out the size or quantity of something. In school we almost always use metric measurements. Negative numbers are numbers that are less than 0. When we are dealing with negative numbers we often have to count through zero. We can use number lines to help us with questions like this. If the temperature is 5˚C degrees and then it drops by 8˚C what is the temperature now? From 5 we can count back 8, which would take us to -3 ˚C. Some handy tricks to remember with negative numbers are that when you multiply 2 negative numbers together the answer is always positive e.g. -3 x -6 = 18. When you multiply a positive number and a negative number together the answer is always negative e.g. -2 x 10 = -20 or 5 x -5 = -25. When two straight lines cross at a point the opposite angles are always equal to each other. The angles around a single point always add up to 360˚. In picture above, if we knew that angle a was 100˚ we would also know that angle c would be 100˚. Knowing that b and d would have to take the total up to 360˚, and that they would be equal, we could figure out that together they (b and d) must add up to 160˚. Therefore, by dividing by 2 we would know that both b and d would be 80˚. As well as this, the angles along a straight line add up to 180˚. So if we were told that one angle is 30˚ we know that the other must be 150˚ in order to take the total up to 180˚. Parallel lines are lines that always stay the same distance apart- a bit like train tracks. Even if the lines carried on forever they would never meet. In pictograms we use pictures to represent numbers in a graph. 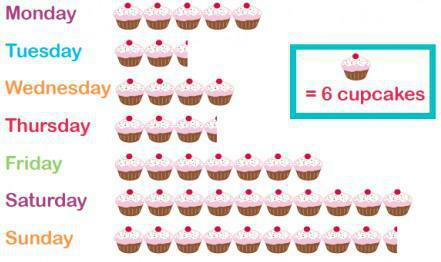 Here we have a pictogram showing how many cupcakes a stall sold each day for a week. Each cupcake on the pictogram represents 6 cakes sold. We can then work out that on Monday 30 (5 x 6) cupcakes were sold. On Tuesday 15 were sold (2½ x 6). How many cupcakes were sold on Wednesday? These are shapes that have 3 or more straight sides. 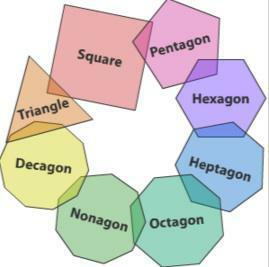 The image below shows a selection of regular polygons. In regular shapes all side lengths are the same and all angles are equal too. Irregular polygons have angles and side lengths which are different. The larger shape here is actually a hexagon because it has 6 straight sides. It has sides that are all different lengths and its angles are all different sizes so it is an irregular polygon (and an irregular hexagon). These are 4-sided shapes. There are a variety of shapes classified as quadrilaterals including: trapeziums (one set of parallel sides), parallelograms (two sets of parallel sides), rhombuses (4 sides all the same length, but all angles not equal) and squares (4 sides all the same length and 4 right-angles). Ratio is a way of showing the comparative value of 2 or more amounts. 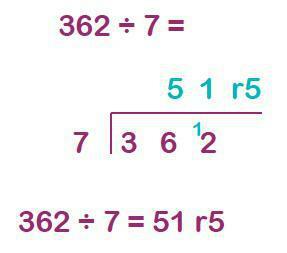 We write ratio as two numbers separated by a colon ( : ). We will look at a couple of examples and hopefully it will make sense! 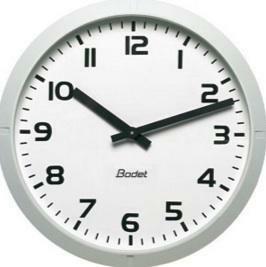 In 6A the ratio of adults:children is 1:11. This means that for every 1 adult there are 11 children. In 6A there are actually 2 adults, which means that there are 22 children. If the ratio of orange cordial:water must be 1:5 how much water should be mixed with 20ml of cordial? The ratio tells us that for every 1 part of cordial we need 5 parts water. We have 20ml of cordial so we need 5 times as much water to mix with it. We can multiply 20ml by 5 to tell us how much water we need, which is 100ml. This is a number system that has been around for thousands of years, and is still visible around us today. 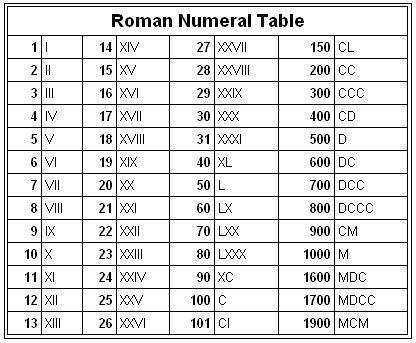 In Roman Numerals different letters represent different numerical values. Usually, the letters are written in descending order (highest value to lowest) e.g. CXV represents 100, 10, 5 or 115. If a smaller value letter is written before a higher value letter we subtract the smaller value from the higher one e.g. CIX represents 100, 1, 10 (100, 10 – 1) or 109. When we change the size of a shape in Maths we can give a scale factor so we know how much bigger or smaller it is going to be. 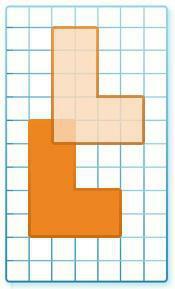 Enlarging a shape by a scale factor of 3 means that every side of the shape will become 3 times longer. A scale factor of 0.5 means that each measurement of the original shape will become only half as long in the new version. 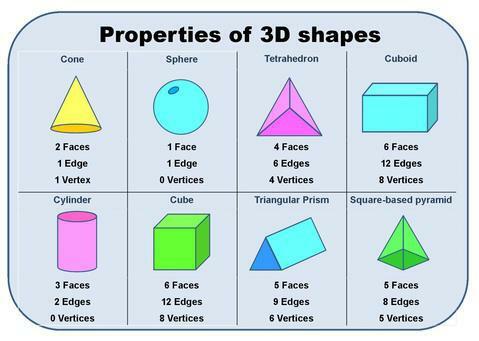 We have already mentioned a lot of different shapes in other parts of the dictionary, here we can see some of the properties of 3-D shapes. *Vertices is another way of saying corners. Symmetry is when an object can be split in half by a straight line and each half is an exact mirror image of the other. The line that splits the shape in this way is called a line of symmetry. Shapes that can be split like this are called symmetrical. Some shapes have no lines of symmetry, whereas some have lots. The dotted lines below show the lines of symmetry for three shapes. 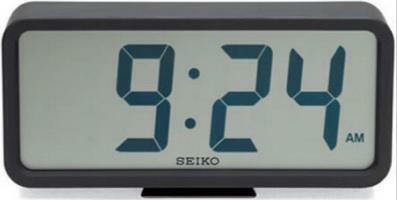 Telling the time is an important life skill and in school we learn how to tell the time on analogue clocks, 24-hour digital clocks and on 12-hour digital clocks. Transformations are the different ways that we can move shapes in Maths. Reflection is when something is reflected in a mirror line. Each part of the reflection will be the same distance from the mirror line as its corresponding original part. Rotation is when a shape is rotated (either clockwise or anti-clockwise) about a point. 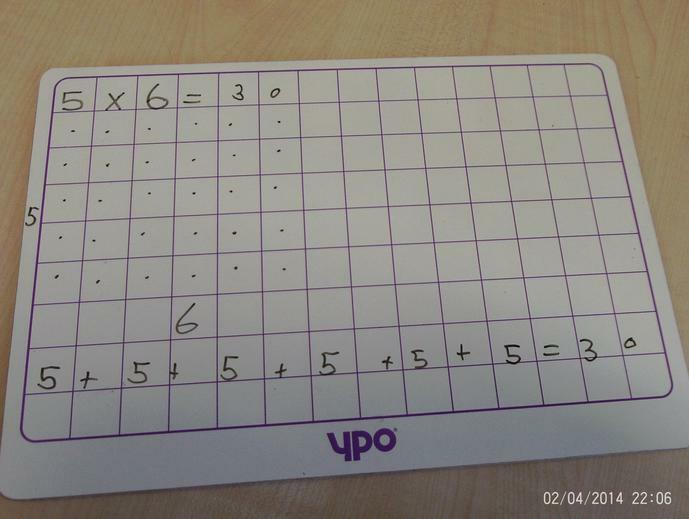 Sometimes we use tracing paper to help us with this, although in SATs tests it’s not allowed. In this example the shape is being rotated 90˚ clockwise about the point. Translation is when a shape is ‘slid’ from one place to another. It stays the same way up, but moves horizontally and/or vertically. In this example, the original orange shape has been moved 1 square to the right and 4 squares up. 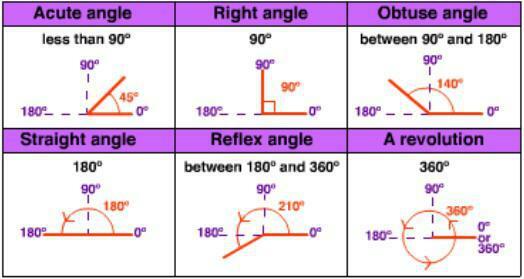 The interior (inside) angles of a triangle always add up to 180˚, this means that if we know what two of the angles are we can always find out what the value of the missing angle is. Maths Dictionary A great link to an animated, interactive online math dictionary which explains over 630 common mathematical terms and maths words in simple language with definitions, examples, activities and practice questions. The meeting we held on Tuesday September 27th was a great success. 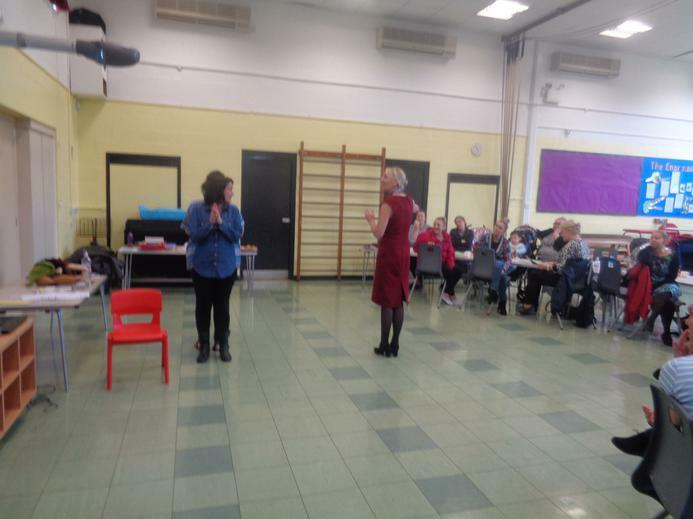 It was lovely to see so many parents keen to participate and enthusiastic to find ways to help their children with maths. 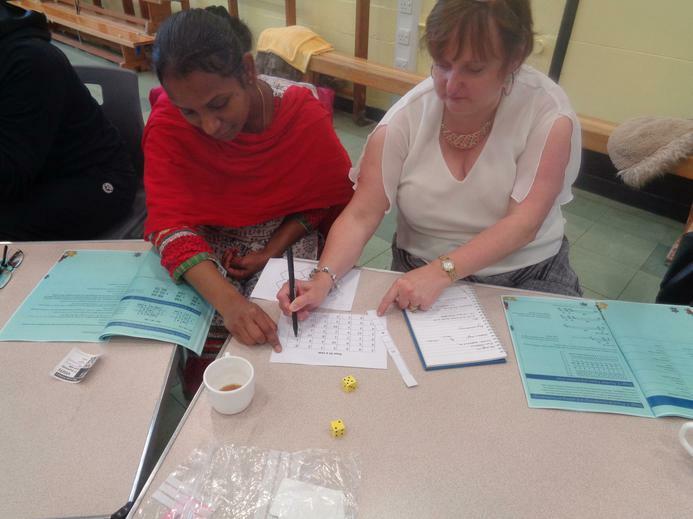 We had some laughs whilst playing a range of games, which proved that 'Maths IS Fun'!! Thank you to everyone who came along. 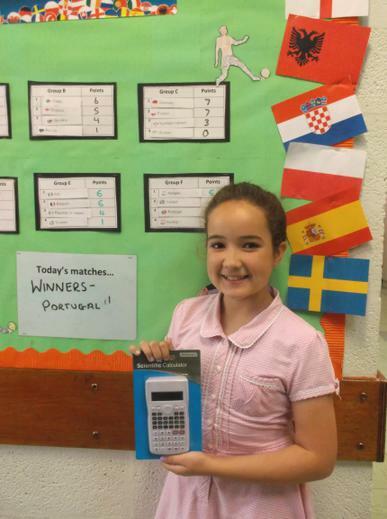 Well done to all the children who won their class Euro 2016 Maths Predictors. Here are three of our winners posing with their prizes. Children are taught the expanded column method when adding two 2-digit numbers. This involves them partitioning each number into tens and ones. They then add the ones followed by the tens. The tens and ones are then recombined to find the total. 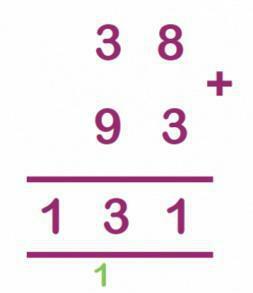 Children are also taught the expanded column method when subtracting two 2-digit numbers. This involves them partitioning the numbers into tens and ones. They then subtract the ones followed by the tens. They then recombine the tens and ones to find the answer to the calculation. 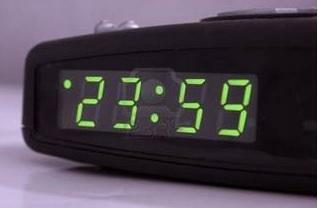 Children are encouraged to use their times table facts to help them when calculating. 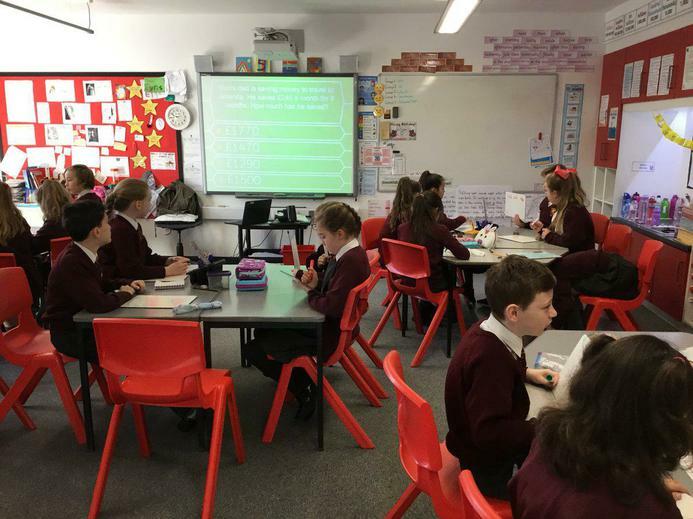 They are also taught written strategies to help them find the answers if they do not know them from their times tables. 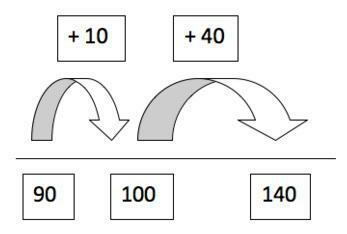 Repeated addition: This is when children expand a multiplication calculation into an addition calculation using the specified amount of the same number. 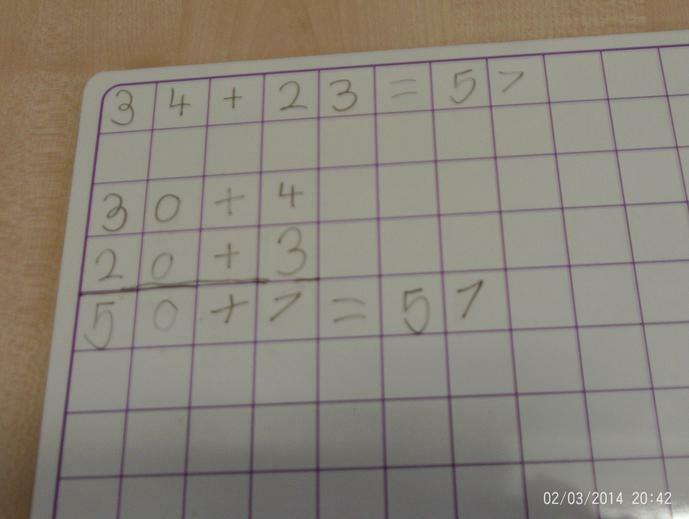 The example below shows the calculation 5x6=, so the child has written out an addition calculation that has 5 in it six times. 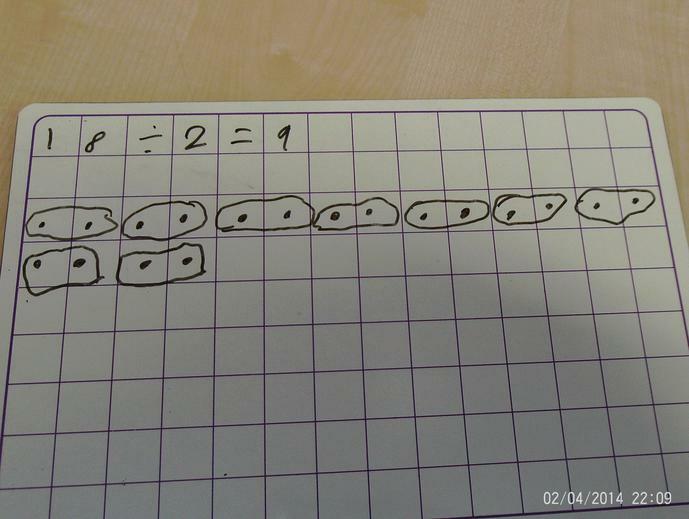 Arrays: This is when children draw an organised number of dots to reflect the numbers in the calculation. The columns of dots can then be counted up to find the total. The example below shows 6 columns of five dots to represent 5x6=. Children are encouraged to use their times table facts to help them when calculating division. They are also taught some written methods that they can use to help them find solve their calculations. 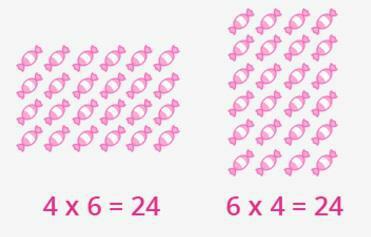 Grouping: Children are taught to draw dots to represent the bigger number in the calculation. They then 'group' the dots according to the smaller number in the calculation. To solve the calculation they count up the number of groups that they have formed.